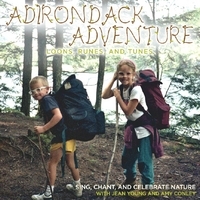 Adirondack Adventure is a joint venture between Amy Conley and songwriter Jean Young. These original songs take you on a camping adventure where different animals, bugs and birds are sighted and sung about. The creatures are also found in New Hampshire, Amy would like you to know!